The establishment of a national multi-sectoral Food and Nutrition Security (FNS) Council and committees, chaired by the Deputy President. The Council’s tasks included reviewing recommendations from stakeholders to be included in policies and programmes, establishing provincial and district FNS Councils, and also establishing the Siyaphila (wellness) card, including child grant registration for children born in public hospitals. Establishing inclusive local food value chains to support access to nutritious and affordable food through agri-parks. Expanding targeted protection measures and sustainable livelihood programmes by implementing universal child grant registration, and establishing an integrated social protection register. Scaling up the impact of nutrition interventions targeting women, infants and children by developing programmes to address the entire life cycle of a person, such as supporting breast feeding, and an increase in the use of folic acid and iron supplements for pregnant mothers. Developing an integrated communication plan to influence people to make informed food and nutrition decisions through communication campaigns, and building a cadre of champions for nutrition to positively affect communities on health. Developing a monitoring and evaluation system for FNS, including integrated risk management for monitoring FNS-related risks through a reporting and alert system. The departments outlined several implementation goals to meet those objectives, but the Committee lamented the slow pace of progress to fully achieve the objectives, indicating that while the departments’ task team was attending to meetings and programmes, people were left without food. The Committee recommended that the departments implement monitoring programmes to ensure that the food that was given to children in schools was nutritious and sufficient. The Operation Phakisa team presented on the progress made by the team to implement the seven work streams that had been assigned to the DAFF, and indicated that 27 initiatives had been developed from a workshop of stakeholders. Under the National Development Plan (NDP), agriculture was expected to contribute one million of the 11 million jobs that were projected to be created by 2030. Therefore agriculture was central to the country’s development and the government must consider increasing financial support for the industry to grow. The Committee asked for confirmation on when the Phakisa operation would be fully implemented, and although the DAFF indicated that some initiatives were in the process of being implemented, the Committee again expressed concern at the slow pace in achieving full implementation of the initiatives. The DAFF also presented on the issues raised by the SA Poultry Association (SAPA), noting that the integrated broiler value chain was connected to the yellow maize and soybean industry. In 2014, South Africa had produced 1.7 million tons of world’s broilers and had consumed 2.4million tons. Challenges in the industry included the rising costs of feed, rising electricity costs and increasing labour costs. Labour costs were usually sacrificed by farmers to meet the rising costs. SAPA’s transformation agenda had shown little progress in transforming the industry, as the country imported a quarter of local consumption, showing that there was room for growth. The effects of importing poultry included the retrenchment of employees in poultry production companies such as Rainbow, where 1 350 workers had been retrenched, the closure of Country Bird’s Mahikeng abattoir, and other companies had cut back production. Consumption of white meat was expected to expand by 34% by 2023, and the increase was currently supplemented through a high level of imports. The DAFF said it had instructed Brazil to recall all the meat it was exporting to South Africa because Brazilian abattoirs were said to be selling rotten meat to foreign countries. There was also discussion around trade issues, the re-use of closed abattoirs, the drought, dumping of chicken breast meat by SA to the EU, and the state of readiness to revolutionise veterinary services. The Committee adopted two draft reports on food security and safety, and on an oversight visit to Onderstepoort Biological Products (OBP) and the South African Veterinary Council (SAVC). Mr Senzeni Zokwana, Minister of Agriculture, Forestry and Fisheries, introduced the discussion by noting that the National Food and Nutrition Security Plan was approved by Cabinet in 2015. In South Africa, 14 million people were prone to hunger, and although food production was adequate within the country, the problem was that the food did not reach everyone and the food prices were too high. The presentation had therefore been prepared by the DAFF and DPME ,working with the Department of Social Development (DSD), indicating that the plan was a multi-sectoral one developed with collaboration in government. 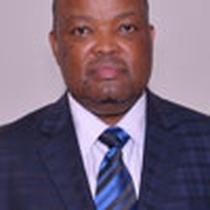 Mr Thulani Masilela, Acting Deputy Director General (DDG), Outcomes Monitoring and Evaluation, DPME, said that the presentation would be delivered by different departments. One part would be presented by the DSD, another by the DAFF, and the other part by the DPME. The departments formed part of the task team put together to ensure the implementation while drafting the plan, as the team had been instructed by the Portfolio Committee in their last appearance. The same plan had been submitted to Cabinet but it had not been approved, as Cabinet had instructed the DMPE to resubmit the plan with costing for every activity. The plan was therefore being implemented while also taking into account comments from stakeholders. The Nutrition Plan also had linkages to Operation Phakisa, and that fact would be made clear in the presentations. Mr Mortimer Mannya, DDG, Food Security and Agriculture Reform, DAFF, said that DAFF’s priorities were food security, job creation and adding value to the economy. The right to food was entrenched in the constitution and South Africa was committed to achieve the sustainable development goals to end hunger and poverty, which problems were a consequence of poverty and inequality in the society. The Cabinet had approved a national policy on food and nutrition security in 2013 which aimed to ensure food was available and accessible to all households across the country. An assessment done for the years 2003-2015 had shown that the number of households receiving grants increased with time, while persons vulnerable to hunger decreased from 27% to 13.1% within that same period. The number of individuals with inadequate food was 14.3 million across the country as at 2015. Government had implemented social and economic programmes to address these problems -- for example, the National School Nutrition programme, the issuing of social grants and introducing Agri-parks. South Africa had emphasized food security without focusing on nutrition. When compared to five other developing countries, South Africa did not yet have a coherent strategy to realise the right to food through one coordinating body which could be held accountable. Cabinet had made 17 directives which directed the line ministry to develop a comprehensive National Nutrition Plan to focus on the first 1 000 days of a person’s life, addressing all nutrition needs of children in households and communities. The plan was directed to address problems of hunger and malnutrition that affected growth in children. Working under the office of the Deputy President, an inter-governmental technical working group had been put together. The team included the DPME, the DAFF, and the Departments of Health, Social Development, Rural Development and Land Reform, Women, Statistics SA, Water and Sanitation, National Treasury, Cooperative Governance, Basic Education and social partners such as the United Nations Children’s Fund (UNICEF), the World Health Organisation (WHO), the Food and Agriculture Association(FAO), as well as Family Health International(FHI) 360. Some of the key stakeholders were the provincial government departments, statutory councils, United Nations structures, non-governmental organizations (NGOs) and academic Institutions. Establishment of a national multi-sectoral FNS Council and committees, which was chaired by the Deputy President. The Council’s tasks included reviewing recommendations from stakeholders to be included in policies and programmes, establishing provincial and district FNS Councils, and also establishing the Siyaphila (wellness) card, including child grant registration for children born in public hospitals. Establishment of inclusive local food value chains to support access to nutritious affordable food through agri-parks. Scaling up the impact of nutrition interventions targeting women, infants and children by developing programmes to address the entire life cycle of a person, such as supporting breast feeding, and increasing the use of folic acid and iron supplements for pregnant mothers. Developing an integrated communication plan to influence people to make informed food and nutrition decisions through communication campaigns, building a cadre of champions for nutrition to positively affect communities on health. Developing a monitoring and evaluation system for FNS, including an integrated risk management system for monitoring FNS-related risks. On 26 and 27 January 2017, a National Food and Nutrition Security Indaba was held, funded by the Food and Agriculture Organization (FAO) as part of the consultation process of the National Food and Nutrition Security Plan (NFNSP). It was agreed to target 27 priority districts, plus 14 additional districts based on vulnerability. The Indaba was attended by close to 100 participants representing 33 departments and organizations. The key outcomes of the Indaba included the need for additional economic indicators, one single agency to direct implementation and accountability, a monitoring and evaluation unit to provide tools for standardised and credible reporting, developing standard operating procedures (SOPs) to guide reporting, and raising awareness among communities and stakeholders to take ownership of the programme. Mr Mannya described the progress with the implementation of NFNSP 2017-2022. Strategic Objective 1 required the establishment of a multi-sectoral FNS Council to oversee alignment of policies and coordinate implementation of programmes. The terms of reference for the Council were developed and a NFSNS plan was presented to the Cabinet Committee for Social Protection and Human Development cluster on 22 November 2016, and also presented to the Economic sectors, Employment and Infrastructure cluster (EDEID) on 7 December 2016 to get support for implementation. Strategic Objective 2 focused on the establishment of inclusive local food value chains to support access to nutritious affordable food. 121 370 hectares of under-utilized land was cultivated, achieving 119% of the target. The Operation Phakisa on Agriculture Land reform was held in September-October 2016, and it developed initiatives for promoting development of small-holder producers. The President launched this Phakisa on 24 February 2017. The Department of Social Development said Strategic Objective 3 was to expand targeted social protection measures and sustainable livelihood programmes, and an inter-sectoral working group had been established to develop a strategy for infants at birth. 20 465 schools had been provided with nutritious food which was sourced from local producers and cooperatives, although there had been challenges in respect of implementation. Strategic Objective 4 was to scale up high impact nutrition for women, infants and children. There had been a review of the maternal, newborn, child, adolescent and women’s Health and Nutrition Strategic Plan 2017/18 to 2021/22, which incorporated actions for ending all forms of malnutrition. There had been a campaign for the provision of polio vaccination, de-worming and screening for moderate and severe malnutrition. Strategic Objective 5 was to develop an integrated communication plan to influence people across the life cycle to make informed food and nutrition decisions in order to address the high prevalence of overweight and obesity in the country. Government departments were being oriented on eating healthy meals in the work place, and were being supported to change menus in their canteens for meals served during meetings. Strategic Objective 6 was to develop a monitoring and evaluation system for FNS. The South African Vulnerability Assessment Committee (SAVAC) was launched in 1999 to provide technical advice while creating a platform for synchronization of data on food security. SAVAC was still being implemented now to understand people’s livelihood systems. The national plan for food and nutrition security was being finalised and implemented across departments, and the cornerstone was doing the costing of the plan. Ms A Steyn (DA) appreciated the presentation and pointed out that the food and nutrition issues had been identified in 2010 and put in the report of 2013. She worried that the progress had been very slow and there had been no report on what had happened from 2013-2016. She asked the presenters to clarify the difference between the 13.1% listed as persons vulnerable to hunger, and the 14.3 million stated as individuals with inadequate access to food. She asked what the government was doing for the people were not working, but were not receiving grants. Mr W Maphanga (ANC) said the report showed there had been progress in society on food security. He asked why the government had not developed a coordinated plan or regulatory system when there was an increase in population and an increase in the need for food. He asked how far the challenges referred to had deviated the task team from its plan, and whether there had been progress with the government’s awareness program. Mr L Ntshayisa (AIC) commended the inter-departmental effort on this plan, but asked if the team had consulted local municipalities to find out the number of people who were indigent. He asked why some people did not have food when the country was said to produce too much food and whether the production could be managed to avoid waste. He also asked if the Indaba was the first of its kind to be held, and if there were plans to hold more such meetings. He was unhappy with the R6 that was said to be allocated per child per day, and asked if the amount could be increased. Mr N Capa (ANC) said that the plan presented seemed wonderful, but it would help if it materialised. He asked if there were any mechanisms to ensure that the food given to children in schools was of a good quality, as the government could not trust the people who prepared the food. Did the government have a way to check against abuse by mothers who received child grants but may not have used the money for the children? Further, what had happened to the school gardens which helped children learn food production and helped the children eat nutritious food? Were there any law enforcement agencies involved in the plan to check abuse? He noted that the presentation had missing information on why Limpopo had achieved low numbers of food insecurity, as the information could help people in other provinces to fully utilise their land. Mr P Maloyi (ANC) said food issues were very serious. He referred to a presentation the Committee had received on the usage of hemp, which showed that it had been 20 years since the programme started and there was no implementation or conclusion in sight. The presentation today showed that the policy had been approved in 2013 by Cabinet, in 2014 there had been an inter-governmental technical leadership group to work on a plan, in 2015 there had been a meeting of provinces, and still there were consultations as the departments were still working on costing, as directed by the Cabinet. He asked for the departments to submit a definite plan with timelines for the Committee to provide proper oversight. He noted that Mr Mannya had posed a question in his presentation when he said the Department was not sure why there had been a decline in impact, when it was the Department’s job to provide answers, not questions. He asked why some provinces had failed to attend the Indaba when the agenda for the meeting had been very important for the provinces. He suggested that the Committee should consider inviting the provinces that did not attend to explain their non-attendance. He also asked if the DAFF was the lead department on strategic objective 6, to develop a monitoring and evaluation system for the FNS. Inkosi R Cebekhulu (IFP) asked what the government was doing about people who were seen scavenging at dumping sites. He said that children in the school feeding programmes were sometimes given only one apple and one orange to eat for the whole day, or were given rice and soup. Was that nutritional, when the government spends so much money paying suppliers for this programme? The Chairperson noted the presence of Mr N Paulsen (EFF), who had just arrived and had raised his hand to ask a question. She said as he had just arrived, perhaps he could hold his questions to ask after the Departments had responded to the questions already asked by the other Members. Mr N Paulsen responded that it was foolish of the Chairperson to assume that just because he had just arrived, he did not have questions to ask on the presentation. Mr Maloyi asked the Chairperson to discipline Mr Paulsen, and ask him to immediately withdraw the word “foolish”, and further to apologise to the Chairperson. The Chairperson advised Mr Paulsen to respect the meeting and the Committee and not to bring any problems he may have to the meeting where very serious issues were on the agenda and were being discussed. Mr Paulsen said he apologised for the sake of progress and he withdraw the statement, but indicated that he would speak to the Chairperson afterwards. He asked how the country was planning to allow people to grow their own food instead of letting them rely on retailers. He asked the DAFF to develop a comprehensive programme and indicate the people who would be involved throughout the process. He said the Tsitsikamma Village Trust had written to the Minister on the matter and the Ministry had not responded to them on their issue that Safcol had taken all the resources from their area without benefit to the community. He asked why the Minister had not intervened. The Chairperson commented that the pace of implementation of the plan by the Departments had been very slow, while the country remained food insecure. She asked if the issues of climate change had been factored into the implementation of the plan, and recommended that the local governments must be included and be given a defined role in the plan for food security. She asked if the government monitored what food was given at schools to avoid malnutrition, as she had been to an agricultural school where the children grew vegetables, but the head teacher had said the children should take the vegetables home to avoid accountability in case the vegetables were eaten at school and a child got food poisoning. She asked then if food safety and nutrition were being looked at together in the plan, as well as communication across the country on the importance of nutrition. Further, she asked if there were any plans to offload dependents from the grants system by ensuring mothers graduated to finding jobs and relieving the budget. Mr Masilela welcomed the questions and said that the Department was also impatient with the pace of progress, and had taken note of the Committee’s concerns. South Africa had about 59 policies and the plan was to put them all together to coordinate and effectively manage issues of nutrition and food security. Costing for the plan could be done only at the end of drafting to take into account every cost element and the implementation. The task team met every month to discuss progress and the team worked with civil society organisations and local governments to achieve success and avoid the hemp example. Mr Mannya explained that the 13.1% was the number of people vulnerable to hunger, while the 14.3 million was the number of people who needed support through food grants. He said he had posed the question on whether there was any relationship between the grant and food prices, and there was no evidence of the effectiveness of utilisation and he did not want to speculate. The studies showed that there was a reduction in households that were vulnerable and food insecure, although the problem with South Africa was not food availability but access to the food. The challenge was therefore to identify the 14.3 million. There was a possibility that some people identified as poor and vulnerable could be receiving more grants than they were entitled to, and this problem could be resolved only once the plan was in effect to pull together information from all departments and organiaations. To reinitiate the school gardens, the Department was working with the DSD and the Department of Education (DOE) to reestablish the gardens in schools, but also to ensure controls for food safety. He agreed that the Department should consider a study of Limpopo to learn and apply the success to other provinces. The DPME, not the DAFF, was the department leading on the monitoring, risk management and evaluation. It was true that there must be more food production, rather than relying on retailers, but management must address issues of inequality, as no one could produce everything. The problem in food insecurity was that people had no means to access that which they could not produce and the plan was to emphasise production, and not only on consumption. The implementation of the plan was for every department to make a contribution and add value. How climate change elements would affect the effectiveness of the plan would be brought in through the Department of Agriculture. The Department of Social Development said that Statistics SA produced a report every year which profiled the provision of grants and sustainable livelihoods against the number or people in need. Through the DSD, people were now organised to form associations or cooperatives, and the DSD and the DAFF supports the group with produce, for them to farm land where it becomes available. When the group produces crops, DAFF makes a commitment to buy the produce and the money made goes to the members who were then gradually removed from the grant system -- for example, the Gauteng Welfare for Work cooperative. The amount of money per child was not R6, but rather R15, and the guardian on receipt would break this amount up and allocate R6 as a cost of food. There were instances where a mother or guardian had received the grant and misused the money, and there was a programme to educate mothers to use the funds wisely, although the problem could not be eliminated completely. The question of whether there was monitoring of food that was given to children in schools would be better answered by the Department of Education, but there were standards that had been set on what the children should eat in the schools, although it could not be denied that the schools may not be feeding them the right balanced food. Mr Masilela pointed out that the Department of Education were also part of the programme. He said there was a detailed report which included specific plans and actions of each department, and the report would be made available to the Committee to address some of the questions being brought forward. The report included a study done by the DPME which showed that 72.7% of targeted children were fed by 2016, and the proportion of starch, vegetables and protein in the food given had tripled from 2008 to 2016. Dr Tsakani Ngomane, ‎Deputy Director General at the Presidency, DPME, in response to Mr Maloyi, said that there had been a decline in the percentage of vulnerable households. The cost of a food basket had increased since 2008, but the number of indigent people had decreased in that same period. She reiterated that the 13.1% was the percentage of households that indicated often going to bed hungry for lack of food, while 14.3 million people were households that did not have access to food. She said Outcome number 7 showed the importance of harnessing support from institutions to promote food production. She also said the DPME was inclined towards involving law enforcement where abuse and financial misdemeanor had been noted in the system, and the DMPE would ask for a forensic audit, working with Treasury. Mr Mondli Mbhele, Director: Food and Nutrition Security, DSD, said the Department’s contribution to the plan would include the impact of climate change on food security. The DSD also monitored the food that was served in schools to access the nutrition content of the portions. Working with the Department of Education, the DSD had engaged nutritionists to work on the school menus and had employed a fleet of vehicles to do spot checks at the schools to verify compliance. The DSD was also working with Department of Health to conduct nutrition counselling in schools to ensure that the children were fed a balanced and nutritious diet. Mr Maloyi asked if the team had been developing a policy in 2013, evaluating the policy in 2014, had a workshop in 2015, submitted a report to Cabinet in 2016, and in 2017 there had been an Indaba, whether this was an indication that there would be one activity per year. He wondered why there did not seem to be a sense of urgency by the task team which was said to meet every month, in keeping with the word Phakisa. Mr Capa noted that the Department had good intentions, but wondered why the Department of Agriculture was not involved to avoid losing the government’s money without achieving optimum food production. He asked the Department to consider the concept of food banks. Ms Steyn agreed with Mr Maloyi that there did not seem to be any urgency to achieve plans by the Department or the task team. It was a deep concern for her to hear that there were still 14.3 million people going hungry in South Africa when there was so much food going to waste while people held endless meetings and made countless plans. Children were dying of malnutrition and people were scavenging for food, and that was unacceptable. She called on the Committee to drive the implementation to ensure the success of the plan on time. The Chairperson asked about the progress of environmental experts who had been reported to the Committee as having been transferred to municipalities, and whether they had been integrated into the municipalities. She recommended that the experts should inspect food safety and attend to checking on the labelling of food, as people prefered to buy cheap food irrespective of whether or not the food was safe. It was a crisis if half of a municipality or province could not access food, and the leaders in those provinces must be made aware of that crisis for them to get involved in resolving the problems. She hoped that this plan by the inter-departmental group would be successful in implementation and that the results would be there for everyone to see. Mr Masilela responded to Mr Maloyi’s observation, and said it was not true that the team was doing one event per year. There was more work being done inbetween the events now reported to the Committee. The years had been highlighted, as was the nature of a power point presentation, to focus on highlights only to avoid long presentations. On the environmental officers, he reported that they have integrated successfully into the communities and were serving as monitors in the food fortification programme, which had proved successful due to the monitoring efforts of the environmental officers. The Department had noted the proposal to consider food banks and would take the idea to the provinces to work with them on implementing the food banks. The DSD pointed out that the idea of food banks had been around since 2008, but some aspects of the programme had been found unacceptable as the banks would collect food that would go bad, or end up collecting food whose “use by” date had expired. The programme was now being transformed to make it practical, and the DSD was working with the provinces to achieve an effective system. The Minister concluded the responses by saying his team had noted the concerns raised by the Committee. In response to the question raised by Mr Paulsen on the Tsitsikamma Village Trust, the Department had acknowledged receipt of the letter and it had noted that the disputes between the Trust and communities could better be resolved by Communal Property Associations (CPAs). He agreed with the concerns over the slow pace of implementing the plan, but made a commitment to continue with programmes that improved people’s livelihoods and food safety, and that ensured that grant money was used well by beneficiaries and the responsible departments. He noted the comments made on the successes of food security in Limpopo, and confirmed that his Ministry would ensure that the lessons learnt from Limpopo were applied across the country. Dr Ngomane introduced the paper as containing significant work for a sector that included work from DAFF and work done by the Department of Rural Development and Land Reform (DRDLR). The Operation Phakisa work was part of the implementation drive to achieve the National Development Plan (NDP) 2030 vision, where there was a commitment to create 11million jobs. One million of those jobs should come from the agriculture sector, hence the importance of this operation. Mr Mannya continued the presentation, and said that the project was previously managed by the former DAFF Director of Finance, Ms Rowena Joemat, and many other participants had been present before the Committee. Operation Phakisa was supposed to deliver towards an inclusive rural economy, in line with the President’s nine-point plan. The plan was to help and support small-holder farmers and develop special development plans to ensure strong rural-urban linkages for agro-processing, trade development and access to the markets. The NDP required the DAFF to review the agenda for land and agriculture to ensure that the sector grew at the required rate. The Phakisa team had held consultation workshops to define the scope of the lab and receive inputs from stakeholders. There were seven work streams compared with other Phakisas, such as Health and Education, which had one stream each, and the Oceans Economy, which had four. 161 participants had attended the lab and 27 initiatives had been developed from the seven streams. There had been a report at the end of the lab and the Department would input comments and notes from the stakeholders and the issues noted by the President at the launch of the project to come up with a final report and get all commitments from private and public sector stakeholders. The next stage would be in June or July, depending on the President’s schedule, and after that meeting the Department could work on an implementation plan. Some objectives of Phakisa were to improve water management, improve land access and address fragmented and low financial and non-financial support given to small-holder farmers. Others were to ensure equitable access to land for development, determine the market for agricultural products and improve access to those markets for commercial or small-holder farmers. The growth in agriculture lay at the heart of transformation and the work streams had to grapple with issues of transformation to make the growth inclusive. Small, medium and micro enterprises (SMMEs) were very important in a developing country like South Africa and should be at the heart of the transformation agenda. Investment in people would be necessary, especially skills development for people to participate in full in the transformation. Initiatives were proposed for unlocking constraints to growth in animal health by revolutionalising veterinary services, and harmonising the legislative framework that affected the value chain. Equitable access to markets included protecting basic human rights in agriculture, sustainable livelihoods, land reform to consider local needs in developing reform, promoting rights of persons under insecure tenure, accelerated land development and financial partnerships. Horticulture work stream initiatives included unlocking water to expand horticulture production. On livestock, the initiatives included skills knowledge, a national live stock census, while on the grain main stream, the initiatives were to create an integrated value chain, unlocking finance through public-private partnerships and grains know-how. On the producer support stream, the initiatives were dynamic business models for producer support, and harmonisation of the land legislative framework. Farmers had raised the issue that services were fragmented, and this approach should establish a virtual platform to connect producers to service providers. Rural development stream included documentation of existing programmes to do more with available resources, and rural enterprise development. The Phakisa team was working on costing each initiative so that it could mobilize resources, Treasury would give money only where there was a plan. This Phakisa would help refocus the implementation and help to unlock resources. The DAFF and DPME were working on institutionalizing and setting up a unit to implement and oversee the initiatives, taking lessons from the Oceans Economy. The plan was to have all the systems in place by July. Phakisa had not brought anything new, but had consolidated to ensure that what was available was efficient. Dr Ngomane added that funding for agriculture was low, but agriculture was a key determinant for inclusive growth and therefore the funding must be must be revisited. During the launch of Phakisa, there were indications from the President that Phakisa did not go far enough to address challenges on land reform. She acknowledged the President’s concern. The DAFF, working with the Department of Rural Development, would schedule a mini lab to focus solely on land reform. The mini lab would be held in April, in time to develop a radical land reform programme to present to the President by July. Dr Ngomane answered that many of the initiatives under Phakisa were already being implemented, and would therefore need only to be accelerated. Through Phakisa, the co-departments would ensure that the initiatives were included in their respective annual performance plans (APPs) for approval. There were new initiatives such as a syndication programme which was running now, and that programme would be included in the next financial year. Mr Mannya also confirmed that there were initiatives under way with implementation, but the Department would need to accelerate the implementation and have the plans integrated with Treasury. The programmes varied in time frame, as some were long term while others were for the short to medium term. Mr Ntshanyisa said the access to land issues were critical to economic transformation. He asked how the Department would ensure that the common citizen got a chance to access land under the operation. Ms Steyn asked about the criteria the Department had used to invite people to a meeting to discuss Operation Phakisa, and whether farm workers were part of the programme. She noted that Operation Phakisa had created an expectation in people that issues of access to land would improve, but without budget support there was nothing that would be achieved. She asked therefore if plans had already been made to include the initiatives in the new budget proposals to the Treasury. Mr Maloyi said when counting the progress from 1994, the progress had been slow, and asked whether there was a programme that specifically said when the initiatives would be completed. He reminded the Minister to honour the commitment by the Department and include the initiatives in the APPs submitted to Parliament. He also noted that this was not the first time the Committee had seen the report, which was evidence of slow progress. Mr Maphanya enquired about when the mini lab would be completed under Operation Phakisa and how far the Accelerated Land Development and Redistribution programme had gone. He recommended that the Department should develop a SWOT analysis for the project, to avoid missing some important areas. The Chairperson asked if the Department had included other sectors which were also involved in addressing water problems, and how much the Department of Forestry was involved. She also asked for clarity on how Phakisa would work to achieve the Maputo Declaration on health. Ms Joemat answered that the Forestry Department had been involved in every process under Phakisa and had submitted plans and responses to the project team to add value. Dr Ngomane noted that the Members should not have been surprised to see the same document several times, as Phakisa had been widely consulted and the project team had submitted its reports in several forums to raise awareness on its progress. Therefore, the Members could have interacted with the report at some point. She said farmers were engaged as direct stakeholders. The project team was committed to ensure the country achieved the commitments made under the Maputo Declaration. The Minister responded that the programme aimed to achieve 50:50 farm workers to become joint farm owners. Ms Steyn repeated that she hoped the Department would inspire the Committee with a new progress report since without budget support, there was little the Operation could achieve. Mr Maloyi asked if the new initiatives indicated in the presentation would be submitted for budgetary support in the 2016/2017 year, or if they would be included in the 2018/2019 budget. The Chairperson asked if there was a developmental agenda for land banks, and what was pending in the plan between the Department of Trade and Industry (DTI) and agro processing. She asked if there was a budget for revolutionising the veterinary services, and how Phakisa would assist the poultry industry. Mr Mannya answered that the project had appointed leaders to champion the implementation within the budget available, but other new initiatives would be included in the upcoming budget for 2018/2019. The animal health organizations had assisted in the review to revolutionize the veterinary services. He assured the Committee that Phakisa was an operation with a wide application and what had been presented was only a snap shot, and other industries such as poultry had initiatives to assist those sectors. The Minister answered that the challenges that had faced the poultry industry included the dumping of meat not just from the USA, but also from European countries. The Ministry had demanded intervention from the European Union (EU) and the discussions were on-going. Mr Maloyi asked the DDG to commit before the Committee on when the Operation Phakisa would be fully implemented in all its initiatives. The Chairperson pointed out that since there would be a hearing on APPs, the questions that related to specific timelines would be answered then. She said that the operation should submit a detailed report with continuous achievable targets, including costing for each initiative. She asked how far the transfer of functions involving the Department or Rural Development had gone, and much money requested for recapitalisation by the Department of Rural Development would be allocated to the Department of Agriculture. Mr Mannya answered that the transfer of functions was expected to be concluded with a signed agreement by end of April, and the process would be assisted by Treasury and DMPE. The decision on the date to transfer the functions rested with Cabinet, and the Department would attend only to the administrative work. The Chairperson commented that the Committee was looking for the implementation dates, and it was not acceptable that two years after it went to Cabinet, the programme was still pending. This was why the Committee was impatient with the pace of implementing projects by the Department. The Minister answered that the decision to implement the initiatives had been taken at the ANC caucus, but the Department had not yet received an instruction to write a memorandum to Cabinet for Cabinet to decide on whether they agreed to the decision by the caucus. Mr Masilela said there were programmes under way to revolutionalize veterinary services, and the programmes had received private sector support. The Chairperson said the Committee would be expecting to find the issues raised in this hearing in the Department’s APPs, with specific timelines. Mr Mooketsi Ramasodi, Deputy Director General, DAFF, started the presentation by explaining the integrated broiler value chain, which was connected to the yellow maize and soybean industry. The US Department of Agriculture had stated that in 2014, South Africa had produced 1.7 million tons of the world’s broilers, and had consumed 2.4million tons. Challenges in the industry included an increase in feed costs, rising electricity costs and increasing labour costs. Labour costs were usually sacrificed by farmers to meet the rising costs. The transformation agenda of the South African Poultry Association (SAPA) had shown little progress in transforming the industry, as the country imported a quarter of local consumption, showing that there was room for growth. The industry had been subject to investigations by the Competition Commission and fines had been leveled related to collusion and price fixing, information exchanges, abuse of dominance and mergers and acquisitions. Dedicated support to remove Sanitary and Phytosanitary (SPS) barriers, and for the government to resolve the Namibian access matter. The DAFF agreed that it was considering the establishment of a dedicated unit to conduct risk analysis, and the Namibian matter had been discussed at DTI interactions. Consumption of white meat was expected to expand by 34% by 2023, and the increase was currently supplemented through a high level of imports. Despite an increase in soya production since 1999, South Africa still imported animal feed due to the increase in demand. DAFF’s strategy was therefore to increase production of poultry and animal feed, to lower feed costs. The expected outputs for the industry included revitalising old irrigation schemes and developing new schemes to support farmers, acquiring land located in strategic locations to support small-holder farmers, implementing a national poultry production programme for recapitalisation and support of small-holder farmers to provide them with farm infrastructure, supporting equity schemes linked to identified value chains, implementing poultry research programmes that would identify more energy efficient broiler production systems, developing higher yielding soya bean varieties and supporting research in vaccine development for birds. Sustainability of the poultry industry was important, as it was the mainstay of agricultural production in the country. The application of any measures had to be within the confines of the provisions of the WTO. Mr Maloyi asked what the DAFF was doing to ensure that the SAPA transformation agenda moved faster. He asked whether countries, particularly those from the EU, also observed the WTO’s principles when sending their meat to South Africa. He commented that he was worried with the pace of implementation of the risk analysis unit as proposed by SAPA, as there were farms closing down and there was not much DAFF was doing about that. Ms Steyn asked about the impact of last year’s drought on the poultry industry. She asked why it was that the price of meat was not changing, if the country was importing large quantities of poultry. Mr Capa asked why there were high feed costs when most of the raw materials were sourced within the country. At what stage would the DAFF be able to apply its own control measures to stop relying on WTO, or be made vulnerable in negotiations with trade partners such as the EU? Mr Ntshayisa wanted to know if the reason for producing less was caused by high input costs. The Minister responded it was not that South Africa was producing less because of high input costs, but it had been importing soya beans because it was not producing enough of them. If one did not produce enough, dumping would happen. That was why chicken from the US and the EU was being dumped here. Dumping could have been worse if SA did not have regulations. It should be noted that a lot of yellow maize was being grown in the country. The Chairperson indicated that the Department has a programme that dealt with trade administration, and wanted to know what the role of that programme was. The Minister said that negotiations on trade issues were led by the Department of Trade and Industry (DTI). The Minister of DAFF did not have to be in those negotiations. The Department only followed the regulations. Ms Elaine Alexander, Deputy Director-General: Economic Development, Trade and Marketing, DAFF, responded to questions asked earlier about trade issues. She explained it was difficult to raise tariffs with the EU because there was an agreement between the DAFF and the EU. The Department had to live with the consequences of that agreement, which could not be changed. The Department needed to review the current policy regarding poultry, but it was going to be difficult because it was not easy to impose tariffs. That would be in breach of the agreement. The tariff rate applied only to countries that did not have an agreement with the DAFF, and the tariff rates were high. She also indicated there was a safety measure in place to safeguard when imports were escalating. There were a lot of things at play at the moment. The Chairperson asked why nothing was being done on anti-dumping. Ms Alexander stated that anti-dumping was acted upon when one had proof that a particular product of bad quality was being dumped in SA. The Chairperson pointed out it was clear a round-table discussion with the industry never happened between DAFF and the industry, because this could have been avoided a long time ago. The Minister agreed with the Chairperson, saying an internal investigation should be done, because tools that could have been used were available internally. Dr Botlhe Modisane, Chief Director: Animal Production and Health, DAFF, said there were strategies in place to initiate the round-table discussions, and he had chaired one of them. Mr Maloyi remarked that the DAFF should focus on its core competences and not answer on matters that were beyond its scope, because the Minister had admitted that some questions they were asked to comment on were not related to agriculture. Dr Modisane, responding to an earlier question on the transformation agenda, elaborated that they did have animal improvement schemes which provided training for black poultry producers. Regarding a question on the application of WTO principles, he indicated that an appropriate level of protection was in place. The EU had a higher level of appropriation, which made it look as if they were applying the WTO principles. The DAFF needed to adjust its level of appropriation if it was to meet the WTO principles, but this would result in costs and the Department would have to look at funding those activities. Pertaining to a question on the risk analysis unit, he explained that the DAFF and the Department of Science and Technology were funding this activity. An advertisement had been published to recruit the person who was going to run the project, but no qualified candidate had been found so far. The post was going to be re-advertised. About hiking new tariffs, he said the partners they were trading with had raised their concerns and had indicated they would have to look for other trading alternatives. Concerning the ban on countries affected by pathogenic influenza, Dr Modisane said there were countries that had been affected. The EU wanted to meet the DAFF regarding the strict approach to restrictions on pathogenic influenza. The country imported from ten countries, and eight of them had been banned. The ban had been lifted on the two countries that had fulfilled the requirements for international standards. Those two countries were the Netherlands and Denmark. The affected countries updated the DAFF with information, and the DAFF verified it. If the Department was not happy, it would visit the country to satisfy itself. That had sometimes proven to be costly. The Department banned countries that had an outbreak of diseases of importance, in order to protect human lives. On the dumping of chicken breast meat in Europe, Dr Modisane pointed out they had received a request from the industry that the EU should combine its inspections when it visited SA so that the country could export chicken breast meat to the EU. The EU had said it would look into the matter. With regard to labelling of products exported to SA, he said that the poultry industry had proposed that portions to be sold to SA should be labeled. The DAFF would notify its trading partners so that they would be able to organise themselves around that. Mr Ramasodi, DAFF DDG, said the task team appointed to look into the challenges facing the poultry industry had finished its work in terms of what it was supposed to do, but it had not completed some processes because there were letters of recommendations the relevant Ministers had to respond to from the task team’s members. The task team members had identified interventions on tariffs, trade measures and other issues for consideration. The Ministers had to respond to those recommended interventions. Mr Ramasodi indicated there was a team that dealt with the competitiveness of the industry and the lowering of input costs such as soya beans and maize. The team had proposals that the relevant Ministers had to respond to. He add that SA had to improve its own systems so that it was exemplary. If it was saying other countries must send it quality products, then it must also be able to sell them products of good quality too. Concerning the question on whether SA was moving at a fast pace in terms of levies, he said the Department was using a levy system to assist the industry to move in the right direction. Regarding the proposal to re-use closed abattoirs and the impact of drought, Mr Ramasodi said that in North West discussions were already taking place regarding the re-use of abattoirs. The challenge had been in respect of funds to travel to other provinces concerning the matter, but otherwise it was an issue under consideration. He also indicated that the drought had had huge implications on the way the Department had been doing things. It had pushed feed costs up. He said the DAFF was ready to revolutionise the veterinary services. Operation Phakisa had given it the ammunition to do that. It had already had discussions with National Treasury on food security and animal and plant diseases. On a question around subsidies, and if SAPA or the system was at fault regarding the challenges facing poultry producers, Mr Ramasodi indicated that within the EU there were different avenues regarding subsidies that could be approached, but that it would require a lot of funds. He said that the broader system was at fault concerning the poultry challenges. The Department had told SAPA that if there were differences, it did not mean there was a crisis. The Department had tried to narrow its differences with SAPA. Mr Maloyi proposed the Department should try interact with different DAFF provincial departments to find out what could be done to rescue companies like Rainbow, Country Bird and Mike's Kitchen in order to protect the jobs of the employees, and DAFF should submit a report to the Committee on that. Mr Maloyi referred to the bypassing of the VPN by the US on pork exports to SA, and remarked that he did not want the judiciary to ask where Parliament was when this issue was discussed in the courts. The oversight role of the Committee should be given consideration, even though the matter was still with the courts. Mr A Madella (ANC) also proposed there should be interaction with broilers shutting down and that farm workers should be guided to form cooperatives in order to buy a 50% stake from these companies or farms. This would empower workers, protect jobs, and keep poverty at bay. The Chairperson indicated it was important for the Department not to forget about projects like soya beans. As SA dealt with transformation, there should be no confusion because it was dealing with crises in between. The Department should not wait for the Committee to ask these questions, but should rather try to be proactive. The sector should also look at the trade agreements to point out challenges. Dr Modisane updated Members on the story doing the rounds about rotten meat from Brazilian abattoirs. He informed the Committee the country imported a lot of mechanically deboned meat and chicken meat from Brazil. The Department had written to Brazil, asking it to explain what the situation was. Brazil had indicated it was conducting an investigation. The Department had informed Brazil to recall all the meat coming to SA until it had resolved all the issues. The Department had given instructions that meat already in the ports of Cape Town and Port Elizabeth be tested for quality purposes. The Department had asked for more information on the chemicals that had been used in the meat exported to SA, so that it could be dealt with. Dr Tsakani Ngomane, Outcome Facilitator: Department of Monitoring and Evaluation, said there were indications that Brazilians had been able to do this because it was alleged they had been bribing the inspectors, and she wanted to know what was being done to ensure this was not spreading. Dr Modisane said the Department had not yet received information that its officials had received bribes. Those who allegedly had received bribes were those in the exporting country. That was the information the DAFF had received. Mr Maloyi asked if there was something that was going to be done internally while the DAFF was awaiting a report from Brazil. The Minister said nothing was going to stop internally. Internal investigations were going to happen, and follow-ups would be made. The Chairperson asked Members to move the adoption of the draft report on food security and safety because they had seen and discussed it at the previous meeting. Mr Maloyi moved the adoption of the report. Ms A Steyn (DA) seconded the motion. The Chairperson asked Members to move for the adoption draft report on the oversight visit to Onderstepoort Biological Products (OBP) and the SA Veterinary Council (SAVC) because they had seen it before. Ms Steyn moved the adoption of the report, and proposed the Committee should write to OBP to find out if it was still experiencing challenges in producing vaccines. Mr Capa seconded the motion.